GROZNY, Chechnya, June 29 (Ruslan Isayev) – In a shooting incident in the Chechen capital the well-known Chechen singer Milana Balayeva has been seriously wounded, and her mother has been killed. The tragedy took place late at night at an apartment block on the recently rebuilt Mozdokskaya Street, 100 metres from Grozny’s government buildings . Several men broke into the apartment in which the singer Milana Balaeva lived with her 41-year-old mother. Both women were shot at point-blank range with Makarov pistols. 10 cartridge cases were found at the site. The mother died on the spot, and her daughter Milana was taken to City Hospital No. 9 with serious wounds to the face and abdomen. The doctors there assess her condition as critical. Later on Russian soldiers came to the hospital and probably took her to a military hospital. The reasons for the shooting of the two women are not known, but law enforcement agencies say that preliminary reports suggest there may have been a dispute about the apartment in which the two women lived. The presence of tension is also indirectly indicated by Putin’s extreme reluctance to discuss revolutions, even those in the past, such as the February and October (Bolshevik) Revolutions of 1917, which took place exactly 90 years ago. While there are some structural similarities between the revolutions of the past and the present tension, they are separated by one clear difference. Today, much more so than in the past, the social conflicts are sublimated in ethnic conflicts. It is this fear and dislike of people from the Caucasus, especially Chechens, that has contributed enormously to the general xenophobic thrust of Russian society. One of my old friends from Moscow stated that hatred of people of Caucasian nationality and of Jews has spread. And, indeed, this ethnic animosity has replaced the sense of social hatred that was so strong at the time of the Russian revolutions of 1905-1921; to be precise, the social animosity has been sublimated in ethnic animosity. The statement of my casual interlocutor should, of course, should be taken with a grain of salt. It simply means that social divisions have been transformed in the minds of many Russians into ethnic divisions while minorities – including Chechens but not only Chechens – are affiliated with the elite, whereas Russians are implicitly seen as the representatives of the lower class. The involvement in crime of Chechens and other people from the Caucasus is seen in a sort of twisted way as an additional manifestation of oppression/harassment of ethnic Russians by those minorities and the government/elite on their side. It is not surprising that this feeling of animosity is spreading not just against the “people of Caucasian nationality” but also against the government. From late July to late August this year, Daimohk, a children’s dance group based in Grozny and trained by the former first dancer of the Chechen national theatre, will be visiting the US for their first ever tour there. The tour will take them to Boston, New York, New Jersey, D.C., Los Angeles, San Francisco and Portland, OR. As a non-profit undertaking, all proceeds will be used to cover expenses incurred or to rebuild Daimohk’s Grozny theatre, which was bombed and looted ruing the second war. The organizers are looking for partners and sponsors at the locations above (advertising opportunities are available), as well as volunteers to welcome the children, help out at performances and promote the tour. For more details see the CAN website. “Estonia is a thriving example of how freedom has transformed the nations of Central and Eastern Europe,” White House spokesman Tony Fratto told reporters June 25. In April, government and commercial servers were hit with a series of attacks by hackers, which Estonian authorities linked to a dispute with neighboring Russia over the recent relocation of a Soviet war memorial from the World War II era in the capital, Tallinn. Moscow firmly has denied any involvement in the incident. A NATO member since 2004, Estonia received support from computer security experts from the 26-nation alliance who, along with experts from Estonia’s Scandinavian neighbors, helped to contain the hackers. Ilves proposed establishing a NATO cybersecurity research center in Estonia to build on his country’s experience and help member states safeguard their own computers from future attacks. Post-communist leaders were once big, internationally known figures. Lech Walesa of Poland and the Czech Republic’s Vaclav Havel remain world famous. Poland’s Aleksander Kwasniewski was widely admired abroad for his diplomatic skills. Reformist politicians such as Estonia’s Mart Laar, Russia’s Yegor Gaidar and Slovakia’s Mikulas Dzurinda wowed the policy wonks with their zealous embrace of flat taxes and free-marketry. Now things are different. Only two leaders really stand out: the presidents of Russia and Estonia. Russia’s Vladimir Putin has many critics, but when he speaks, people listen. Estonia’s president, the Swedish-born and American-educated Toomas Hendrik Ilves, now speaks up for all the Kremlin’s former European satellites. The brainy Mr Ilves is the only senior politician in the region with real experience of Brussels (he was once a member of the European Parliament) and Washington, DC. He has the ear of George Bush: both are keen farmers (although on rather different scales), and both like the same make of Stihl brush-cutter. 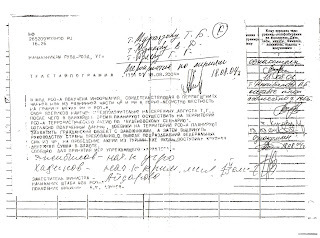 On June 19, the pravdabeslana.ru (Truth about Beslan) website published copies of faxes written in August 2004 by officials of the North Ossetian interior ministry. These show that the local authorities were aware of preparations for a major terrorist attack involving the movement of convoys of vehicles, and targeting a public building, most probably a school, on “Knowledge Day” (September 1, the day when the new school year begins in Russia). The documents even made reference to the specific demands that the hostage-takers would advance. Information has been received concerning the movement of members of illegal armed formations from the plains of the Chechen Republic into an area of mountain and forest on the border between the Republic of Ingushetia and the Republic of North Ossetia. The gathering of fighters is projected for mid-August this year, after which there are plans to carry out a terrorist action on the “Budyonnovsk scenario” on the territory of the Republic of North Ossetia. According to the information received, the fighters are planning to seize a public building with hostages, and then advance demands to the country’s leadership concerning the withdrawal of units of the federal forces from the Chechen Republic. 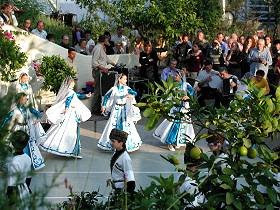 A large sum of money in Western currency is said to have come from Turkey to finance the action. My move to Kent is now more or less complete, and as I recover from the effects of dust, prolonged series of car journeys, and the lifting of heavy objects, I’m slowly getting back to normal. This blog will soon return to regular posting.